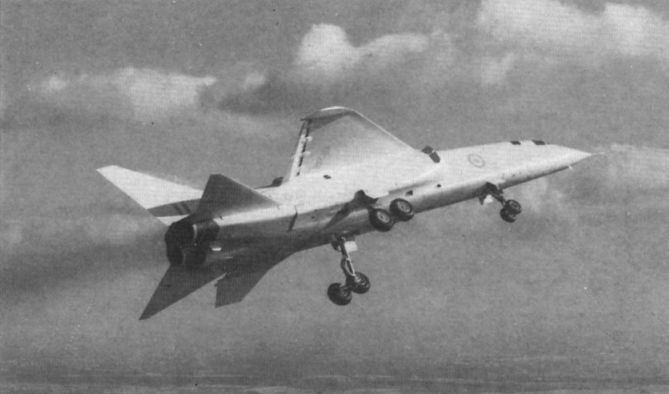 TSR.2 XR219, with undercarriage finally retracted, during the high speed trials which began in January 1965. 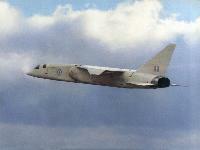 XR219 on Boscombe’s runway with flaps at 30°, flap “blow" on, and tailplane fully up at 145kt for nosewheel lift. 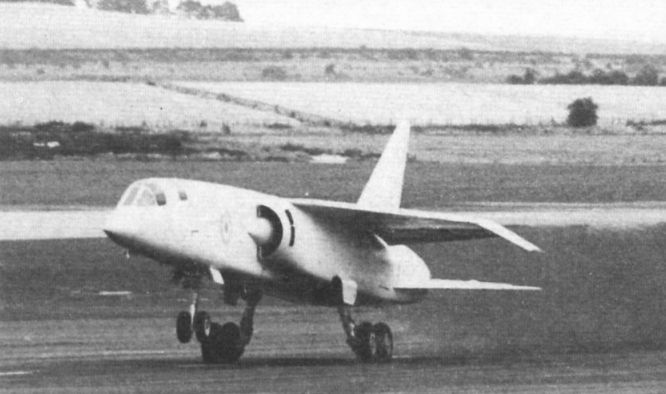 The author lifts the TSR-2 off Boscombe Down’s runway for its first flight, September 27, 1964. 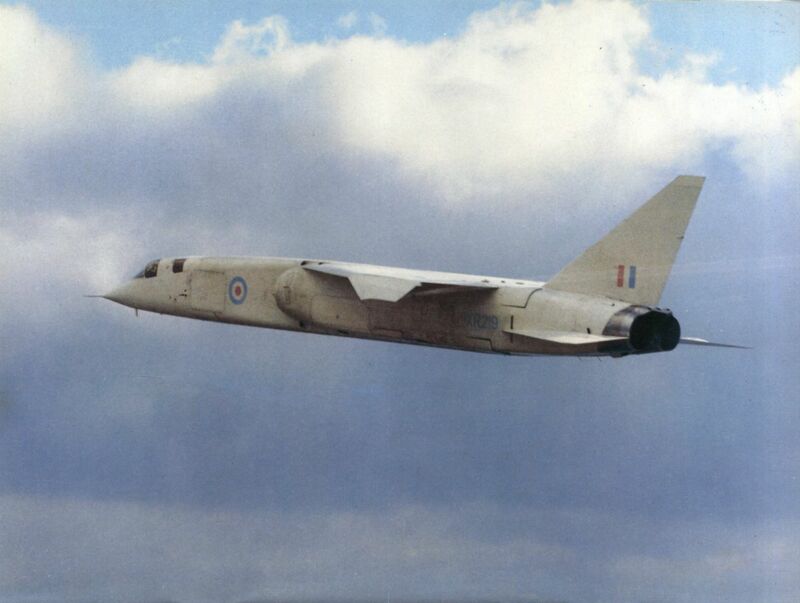 At 3,000ft Beamont investigates the differential tailplane/taileron control in the first turn. The undercarriage malfunction on Flight 5. 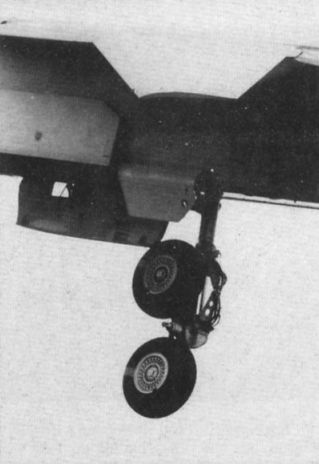 The bogies jammed in this position and could not be moved; a decision had to be made either to abandon the aircraft or to attempt an emergency landing. 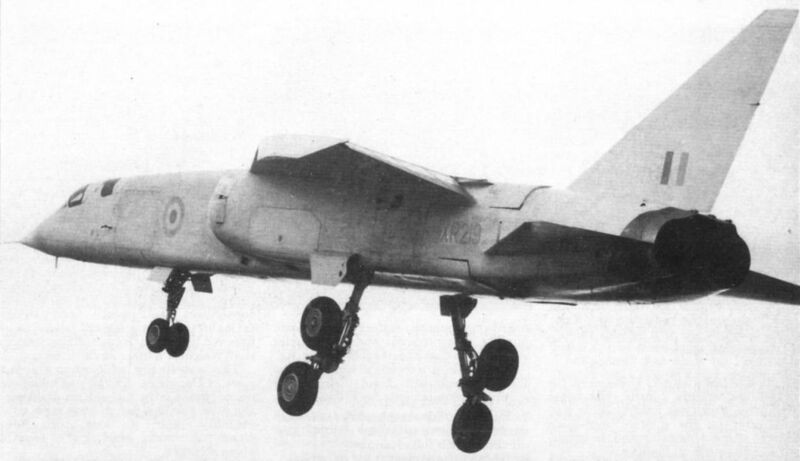 The port undercarriage main leg of XR219 with its bogie beam rotated to the vertical position. XR219 flying past the tower at Boscombe for visual checks of the undercarriage failure. They confirmed that the bogies were jammed in a vertical position. A moment after touchdown, the bogies begin to rotate backwards into their correct position.